A NEWLY CONSTRUCTED CONTEMPORARY VILLA OF EXCEPTIONAL QUALITIES WITH VIEWS TOWARDS THE GOLF AND LA CONCHA MOUNTAIN. East and westerly orientation. 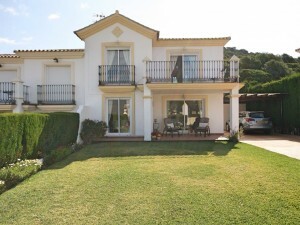 Located in one of the most peaceful areas of Nueva Andalucia. Top quality build with numerous designer details. 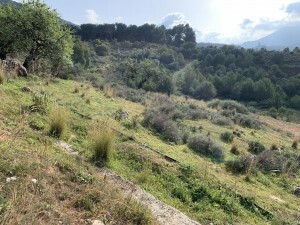 Walking distance to the Los Naranjos Golf Club. Entrance hall, living area with fireplace, dining area and open plan fully fitted kitchen, second kitchen, guest toilet. Direct access to the terraces, the garden and the pool area. UPPER FLOOR Master bedroom suite and two guest bedrooms suite. LOWER FLOOR (garden level): Two guest bedrooms suite, separate apartment with bathroom, second family/entertainment room, Wellness/spa, fitness and sauna. 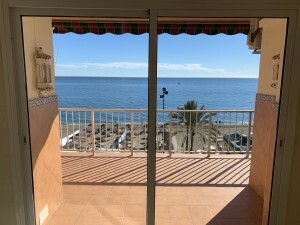 ADDITIONAL FEATURES include, Neff, Liebherr and Miele appliances, underfloor heating, air conditioning hot/cold, double glazing and traventine marble floors INDEPENDENT STUDIO SUITE. Furniture available by way of a separate negotiation.